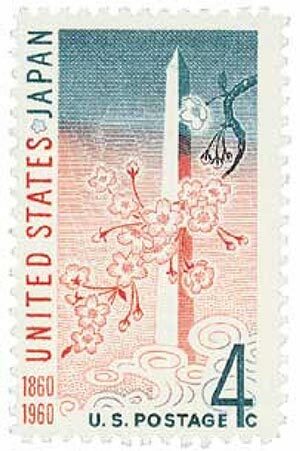 U.S. #1151 was issued in Washington, D.C., on the same day as the South-East Asia Treaty Organization’s (SEATO) Sixth Annual Conference began. 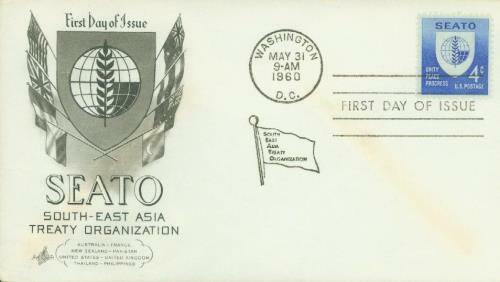 The conference, also held in Washington, D.C., included representatives from the nations that made up the defensive alliance: Australia, France, New Zealand, Pakistan, the Philippines, Thailand, the United Kingdom, and the United States. 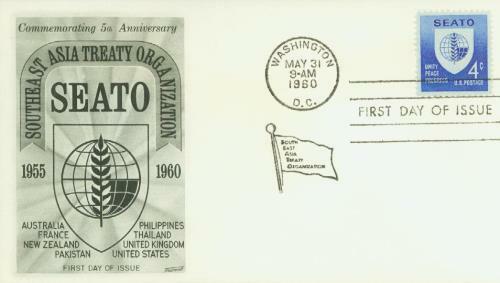 The Southeast Asia Collective Defense Treaty, sometimes called the Manila Pact, was established to prevent the spread of Communism in Southeast Asia. 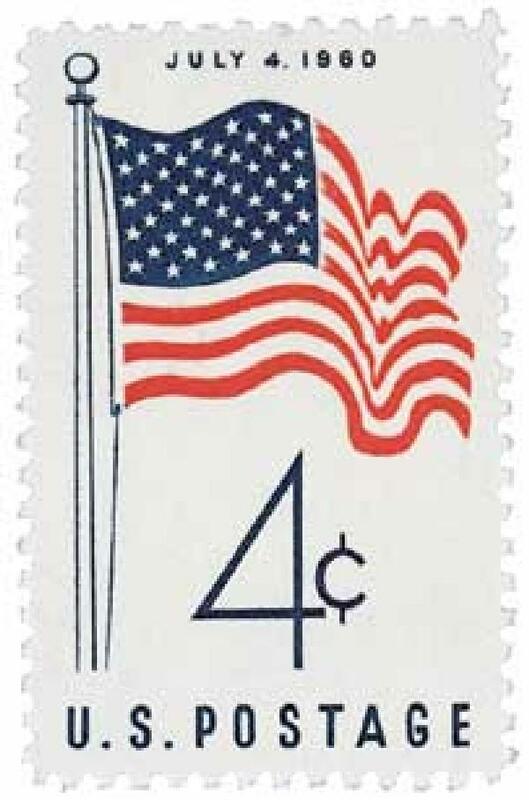 It was meant to be similar to the North Atlantic Treaty Organization (NATO), although it didn’t have as strong a requirement for mutual defense. 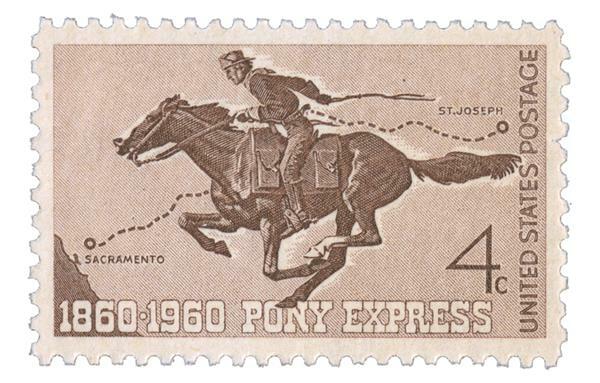 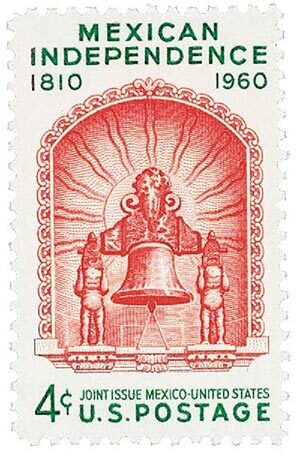 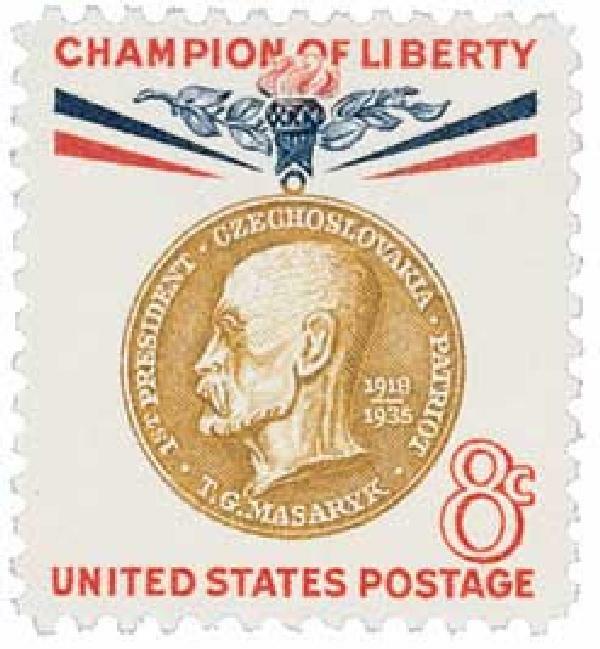 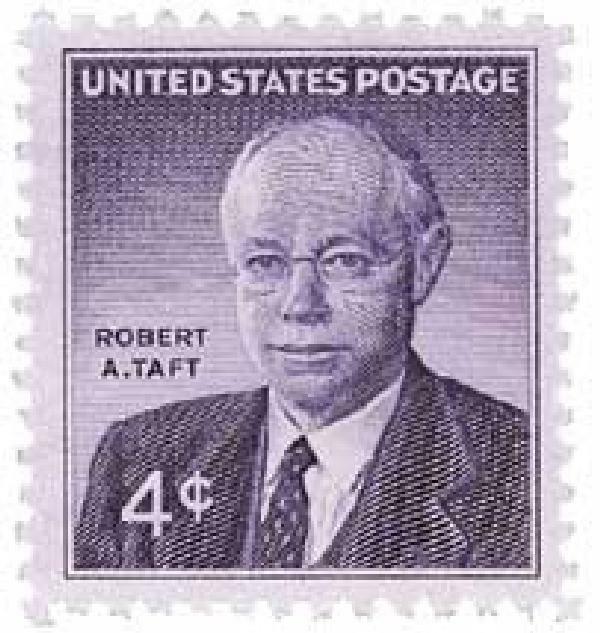 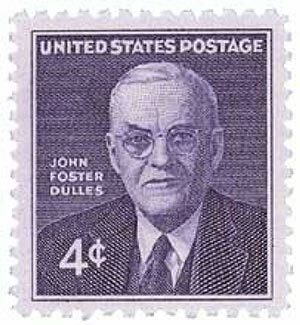 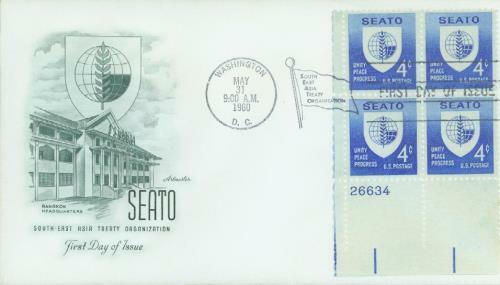 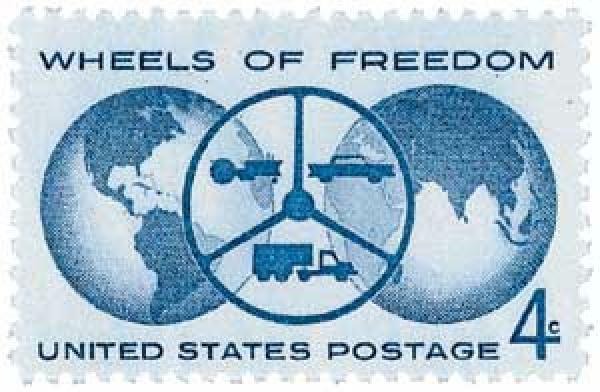 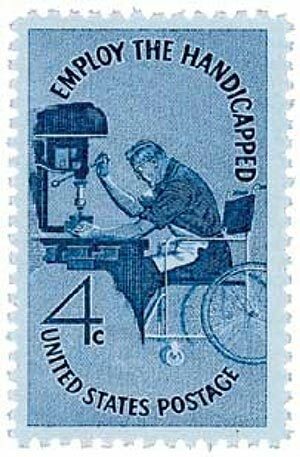 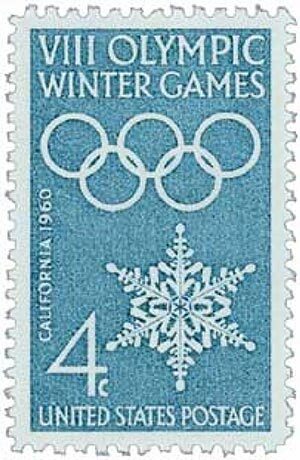 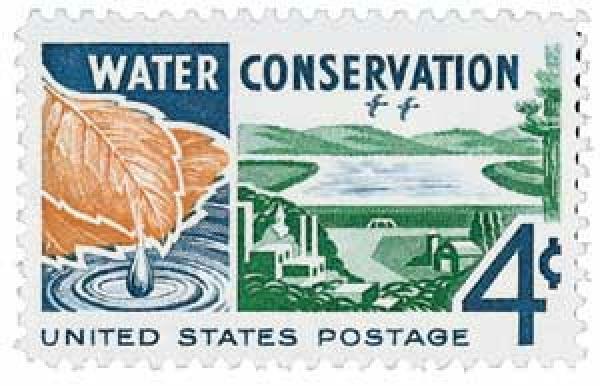 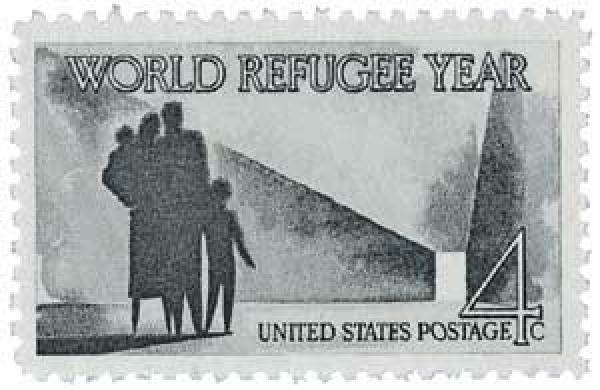 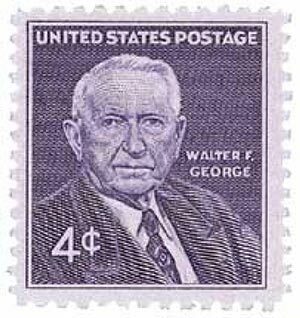 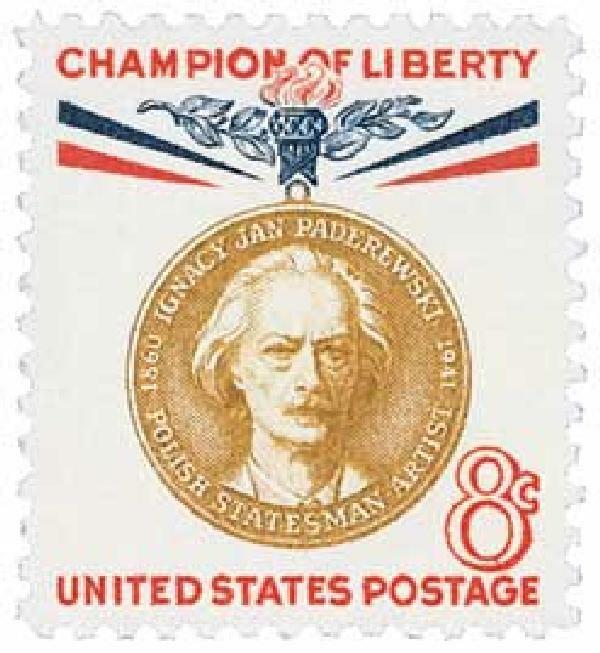 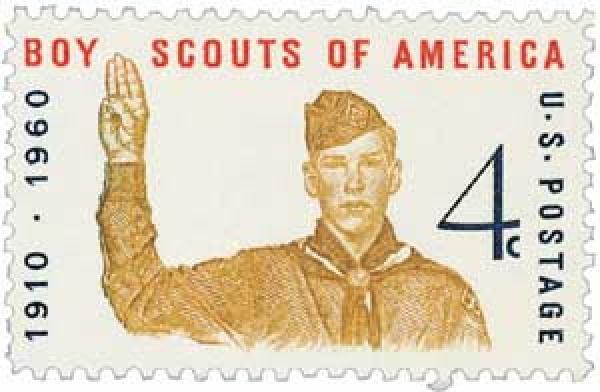 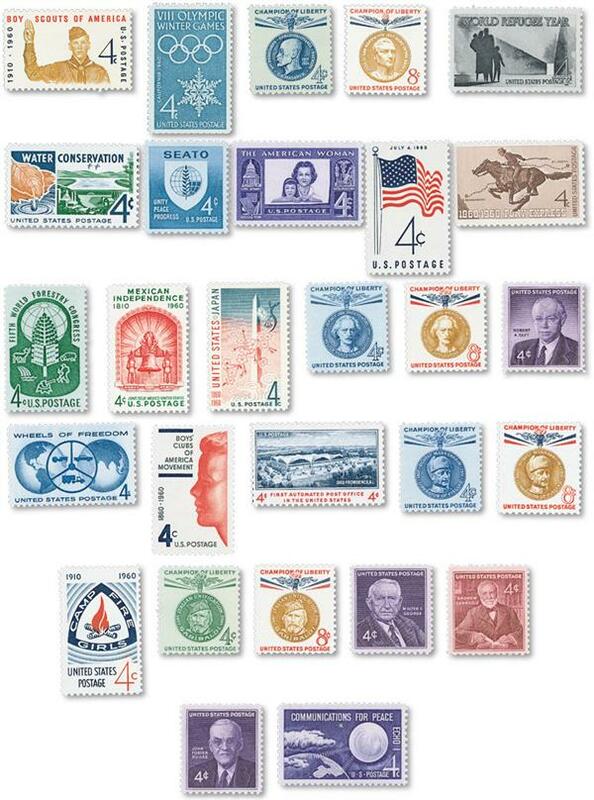 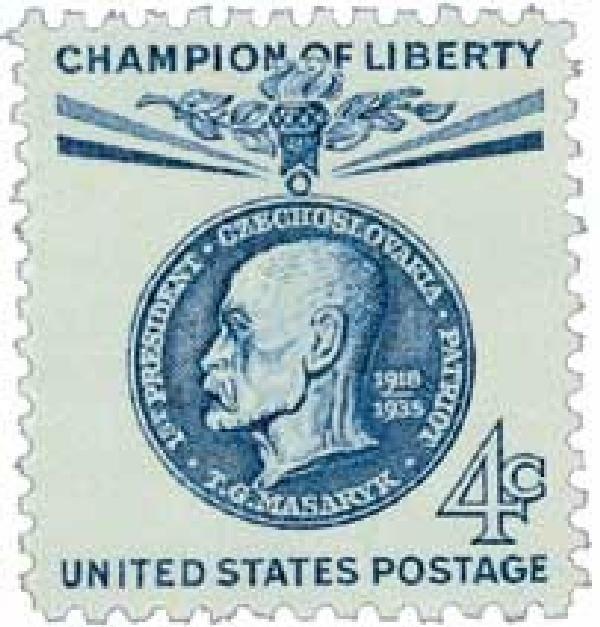 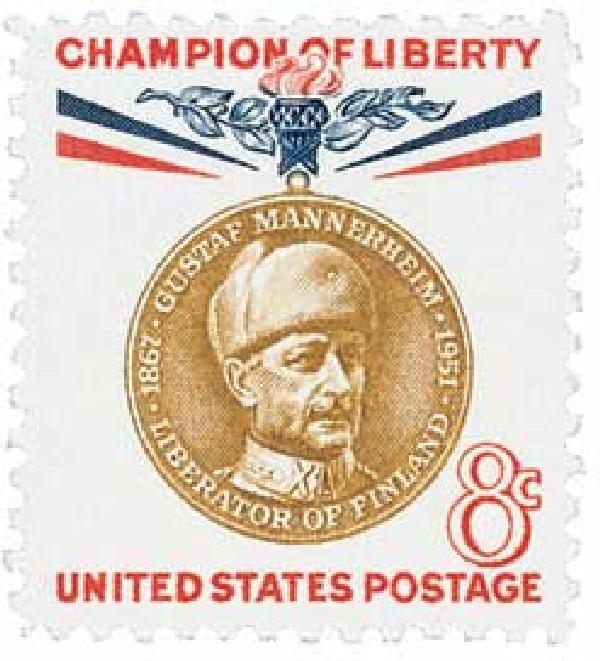 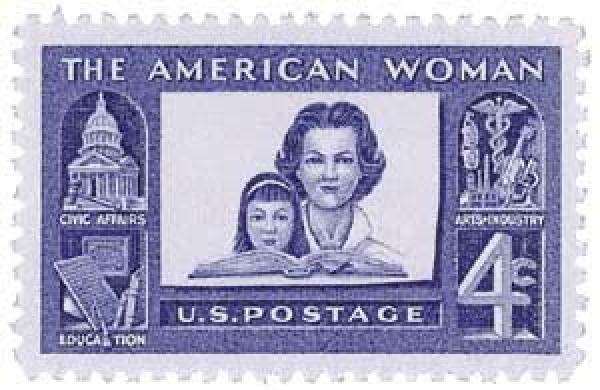 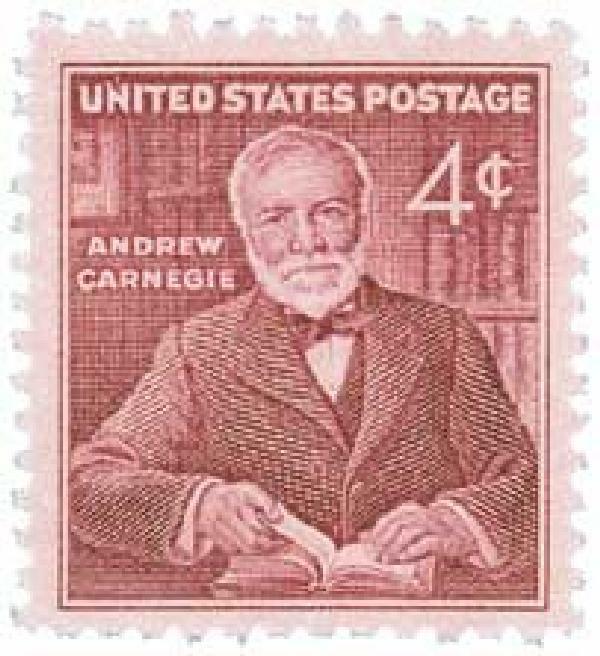 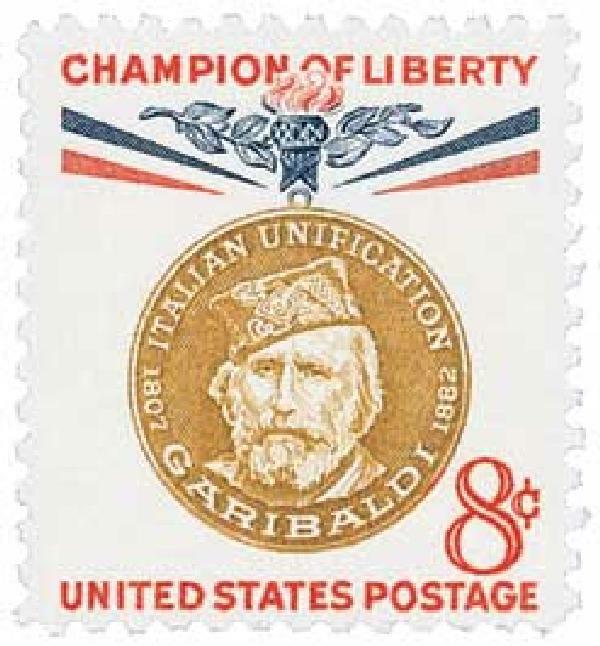 The stamp shows the principles of “Unity,” “Peace,” and “Progress,” as well as the organization’s emblem.